When the geckos arrived, one had already squeezed out of the deli cup through the punched holes and was at the bottom of the box. I didn't see either of them for the first few days and was convinced that they had both somehow escaped. Finally I started to see one, and as of the other day I can see both on occasion. One is definitely more daring than the other. I've seeded the enclosure with springtails and isopods and decided that rather than trying to put 4-6 tiny crickets in there every other day, I'll just put 2 dozen in every week (there's a small dish of cricket gut load behind one of the cork bark pieces. I'm going to take the plunge with either mourning geckos (Lepidodactylus lugubris) or phelsuma Klemmeri or sphaerodactylus elegans. I can't decide! I've learned a lot about S. macrolepis, unfortunately not in a good way. The two juveniles I got that are pictured above disappeared mysteriously from the enclosure after a few months. No, they didn't get out. The only thing I can figure out is that some large crickets in the enclosure ate them! 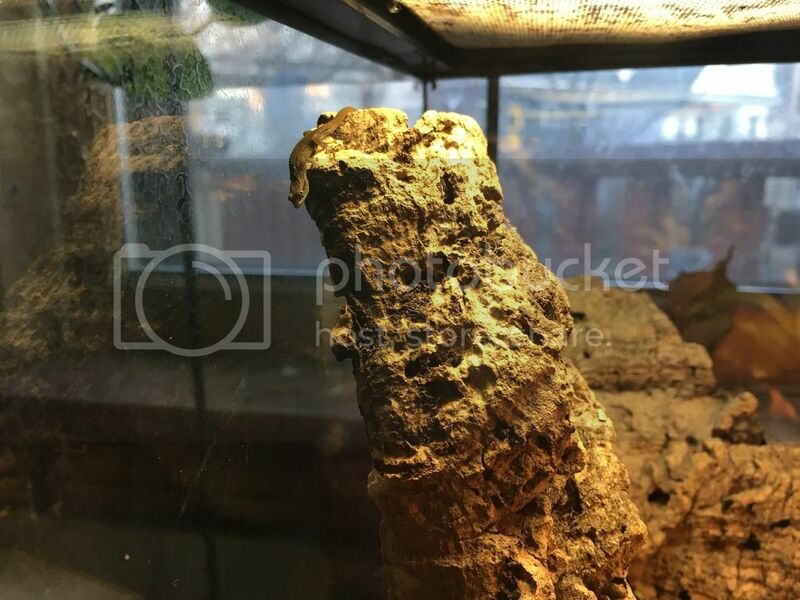 Since there's so much cork bark in the enclosure, the crickets were growing up and hiding in the cork bark so I never saw them. I did put some gut load in there for the crickets, but the geckos must have been much more appetizing. In July, I got another juvenile and have been very rigorous about putting only a few tiny crickets in there and searching frequently for larger crickets that are still in the enclosure. This one is doing well and growing. 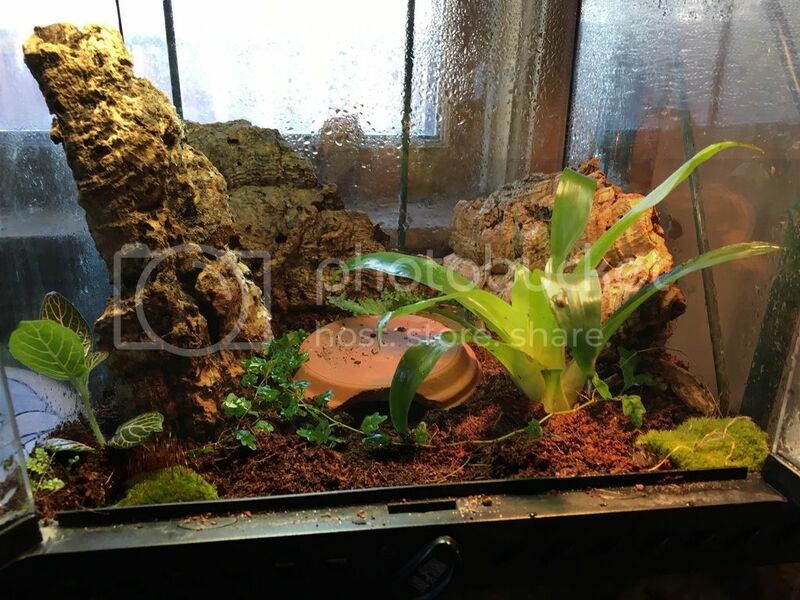 I'd like to get more and set up a smaller 8x8x12 nano as a quarantine for a new one. However, a few months ago, someone found a brown anole in some grasses she had bought, so the anole is now occupying that enclosure. I really love these tiny geckos, though and hope to get more some time. What temp range did you use (or do you suggest) for your 2 S. macrolepis? I'm sorry that they appear to have been eaten. I've been helping Birby with Mocha, a Cuban Ashy Gecko. So a lot has happened since 2016. I've gotten a few more macrolepis, had some escape recaptured some, had 1 female die during egg laying. 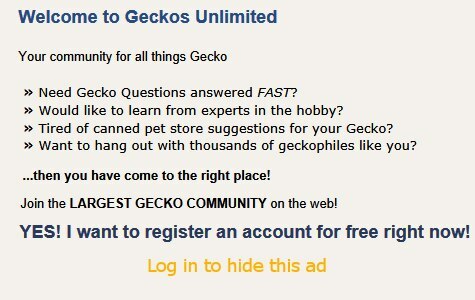 At the moment, I have 2 males in separate enclosures (they were accidentally in the same enclosure for awhile and you can see the story in the last entry of this article: Escaped Geckos and Impressive Finds - Gecko Time - Gecko Time) as well as a 2 month old hatchling from one of the males and an (escaped) female. Unfortunately the hatchling is looking male. I also have an S. sputator. I keep them all in 12x12x12 or 8x8x12 planted vivs with a florescent light and a halogen puck light for warmth and basking. They seem to do fine without any extra heat. My ambient temps in the house are as low as mid 60's in the winter, but they seem to do fine as the enclosure is small and probably holds the heat well even after the lights go out.